^ 林冠群 2011, p. 65-66. ^ Kapstein & Dotson 2013, p. 38. ^ Dotson 2009, p. 9. ^ 5.0 5.1 趙天英 & 楊富學 2009. ^ 林冠群 2011, p. 66. ^ Dotson 2011, p. 231,241. ^ Uray 1968, p. 124-125. ^ Dotson 2009, p. 1. ^ Beckwith & Walter 2015. ^ Uray 1968, p. 135. ^ Uray 1968, p. 136–137. 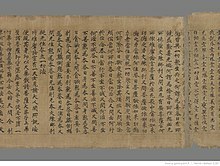 ^ "Preface to the Asianart.com edition of this article." 页面存档备份，存于互联网档案馆 By Amy Heller, Jan 21, 2007. ^ Bacot，Thomas & Toussaint 1940, p. 153. ^ Dotson 2011, p. 231. ^ 17.0 17.1 Macdonald & Imaeda 1979. ^ Uray 1968, p. 135–136. ^ Bacot，Thomas & Toussaint 1940. ^ 林冠群 2011, p. 61,64. ^ 王尧 & 陈践 1992. ^ 黄布凡 & 马德 2000. Choephel, Gedun (1978). The White Annals. 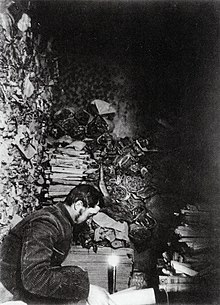 Library of Tibetan Works & Archives Dharamsala, H.P., India.